I’m disappointed how Booking.com can advertise for such a pension. We were there for one night, and for this end it was perfect for us. : location, value for money, equipment, parking place, nice area. Thank you! Danny was kind, friendly, and helpful. They were going out when we arrived and dropped us off at the train station. 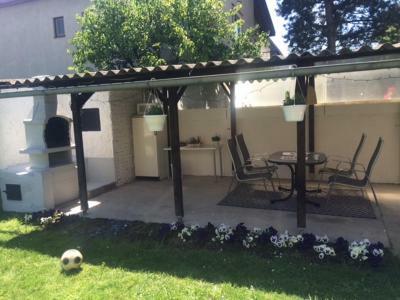 Nice homestay near Vienna, friendly & welcoming owners, the apartment is in separate building on a family property, one has its own privacy & possibility to sit outside at the yard. Well working wifi, fridge & kitchinette at disposal. Everything spotlessly clean. Free parking off street near house. Excellent and quiet location, very close to the airport via public transport or 15 minutes taxi ride. The room itself was very clean, tidy and convenient to stay for a very short time. There is also an excellent wifi connection. The owner was very nice and even though I arrived later at night, she waited and was reachable immediately! Sehr ruhige Lage, nette Vermieterin, bequemes Bett. Alles Super. sehr nette Vermieter, und man kann sich Kaffee machen , Wenn es draussen schön ist kann man im Garten sitzen, das ist sicher sehr angenehm, dort gibt es auch einen Feigenbaum und ich durfte mir welche nehmen. Es hat mir sehr gut gefallen, dass ich auch recht spät anreisen konnte und ich mir morgens eine Kaffee kostenlos zubereiten konnnte. Die Hauseigentümerin war sehr sympathisch und sehr zuvorkommend -der Garten war sehr schön.!!! Die Gastgeber waren sehr freundlich und zuvorkommend. 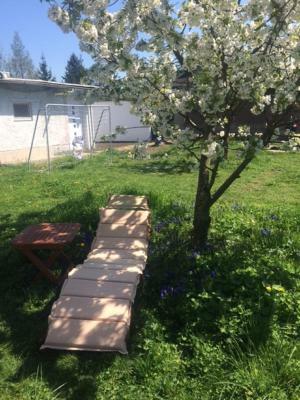 Der Garten bietet einen perfekten Platz zum entspannen. Все было отлично! 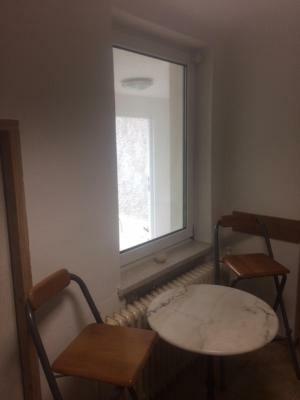 Чисто, удобные кровати, хозяева очень добродушные. Есть кухня, можно приготовить покушать, рядом магазин. The family stay includes a kitchen with a dishwasher and an oven, as well as an electric tea pot. 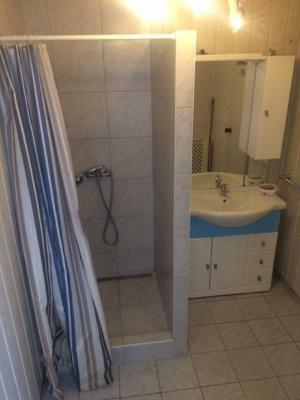 The family stay also has a bathroom with a shower. Schwechat Refinery is 3.4 miles from the family stay. 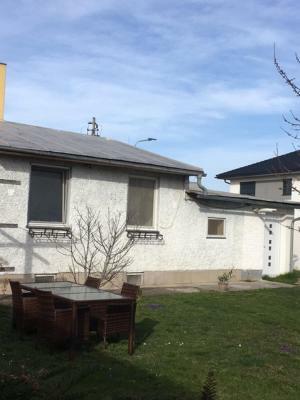 The nearest airport is Schwechat Airport, 7 miles from the property. When would you like to stay at D&E Rooms? This twin room has a electric kettle, microwave and dining area. 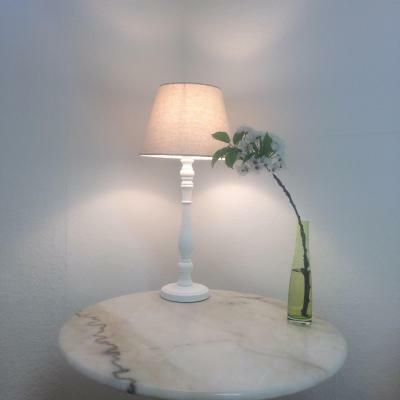 House Rules D&E Rooms takes special requests – add in the next step! There could be some more toiletries in the bathroom otherwise everything was really nice and comfortable. 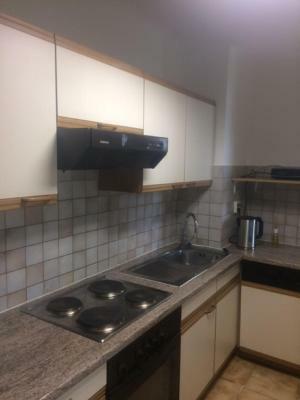 The place consists of an entrance space with kitchenette, office used by the owner , an extra room and toilet with shower , the bathroom is 25 meters away from the bedroom ,to go to the toilet you have to go through the office. The room which was made as bed room is 2mX5m, no wardrobe , no tv, no breakfast, two Singel beds situated head- tail because no space to put them beside each other. On check out I kept looking for someone to hand over the room , otherwise I’ll get into trouble , but no one was there . I checked out 9am. I don't know on what it is depend on, but as I went as second to take a shower, the water wasn't enough warm. The price. I thought I was booking a room with two twin beds, but it turned out I was booking a bed. When we got there I had to pay an additional $45 for my son to sleep in the other bed (same room). For the price I paid, I would have preferred two separate rooms or a larger, nicer place with services.